Is Your Child's Diet Causing Constipation? Constipation in children is a frustrating problem for many parents, but dietary changes may offer relief. However, sometimes parents don't realize their children are constipated, instead mistaking the symptoms for a potty training problem in younger children. And parents of older children don't necessarily know how often their kids are having bowel movements. For the average child, constipation is usually caused by a combination of high fat and low fiber diet. This might include drinking too much whole milk, eating a lot of other dairy products, and not eating a lot of fruits and vegetables. Some quick and easy changes to your child's diet that may make it less constipating can include changing to low-fat milk or soy milk (as long as your child is at least 2 years old), both of which can be less constipating than whole milk. 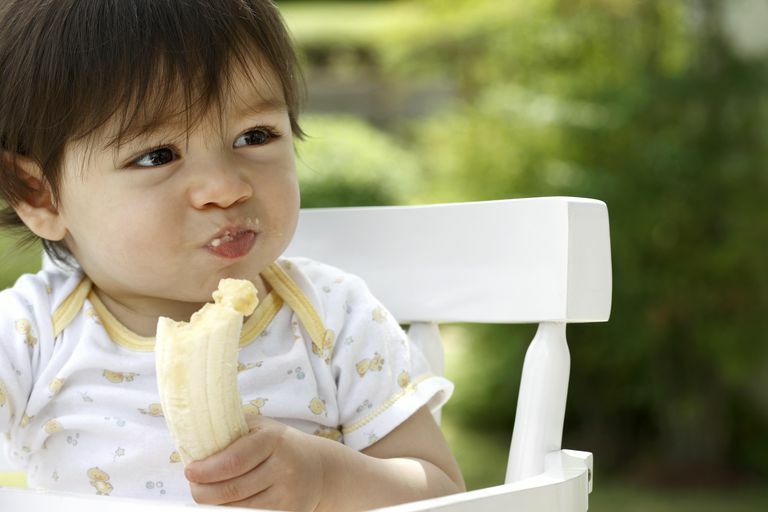 Parents should also try limiting the child's intake of milk to about 2 cups per day and avoid other foods that are traditionally thought to be constipating, including bananas and most dairy products, such as cheese, yogurt, ice cream and, as already mentioned, milk. If limiting dairy products because of constipation, be sure to find an alternative source of calcium, such as calcium-fortified orange juice. If your child is constipated, you should also say goodbye to cooked carrots, most high-fat foods, such as french fries and processed foods and white rice. On the other hand, you should increase the amount of fiber and bran in your child's diet by feeding him more high fiber foods. Increase your child's intake of fluid each day, especially water and apple, pear, and/or prune juice. Foods and drinks that are often thought to help prevent constipation include many fresh fruits that you eat with the skin on, including apples, grapes, peaches, etc. (and then be sure to actually eat the skin and not peel the fruit). Also helpful are many fresh fruits with high water content, such as watermelon and cantaloupe. Be sure to talk to your child's pediatrician for more help with treating or preventing constipation in children. In the meantime, learn to read food labels to choose foods that are high in fiber. Consider using a stool softener or laxative if dietary changes are not quickly helping your child's constipation. Although there are many OTC medications available, Miralax (polyethylene glycol) is a popular option, as it has no taste or odor, works well and is tolerated by most children. A schedule of having your child trying to have a bowel movement twice a day can be helpful to get him in the habit of going. Choose a time, such as right after meals, when he is most likely to have a bowel movement, don't force him, and simply encourage him to try to go for a few minutes. Regular exercise can sometimes help children have more regular bowel movements. Be sure to see if constipation is listed as a side effect of any medicines that your child takes on a regular basis. Encopresis, in which your child has stooling accidents, can be a complication of constipation. Keep in mind that constipation often takes months and months (if not longer) to correct, that constipation can sometimes be caused by something more serious than a simple diet problem, and constipation sometimes requires an evaluation by a pediatric gastroenterologist for more help.